DRAIN CLEARING SET Product Specification Drain Clearance Set for the professional. Ideal fo.. DRAIN TEST KIT C/W STOPPERS 79140.. DRAIN TEST PLUG 100MMDRAIN TEST PLUG 150MMDRAIN TEST PLUG 225MMDRAIN TEST PLUG 300MMTest Plugs.. Product Specification The complete answer for pressure testing drains and sewers of any diameter. .. 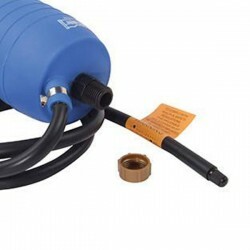 Product Specification Drain Tracing Dyes are supplied in 100gram & 200gram Poly-jars as standar..
HAND BELLOWS Product Specification Seal off the drain to be tested with the Drain Test Plugs or ..
INFLATABLE AIR BAG 100MMINFLATABLE AIR BAG 150MMINFLATABLE AIR BAG 225MMINFLATABLE AIR BAG 300MMCanv..